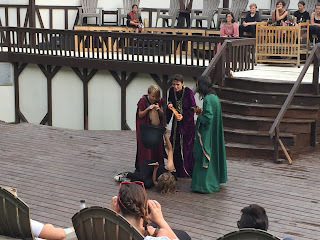 Montford Park Players Announces Registration for The Montford Moppets Popular “Shakespeare for Kids” Program to perform Macbeth at Hazel Robinson Amphitheatre, 92 Gay Street, Asheville on July 24th-August 13th, Mon & Wed & Fri, 12-4pm. The classes will be taught by local directors Jeff Catanese and Ashleigh Goff. Montford Park Players, an Asheville theatrical tradition, is pleased to open up registrations for its popular summer program, The Montford Moppets. The 2017 Moppets will be taught by regular actors and directors at Montford Park Players, Jeff Catanese and Ashleigh Goff. 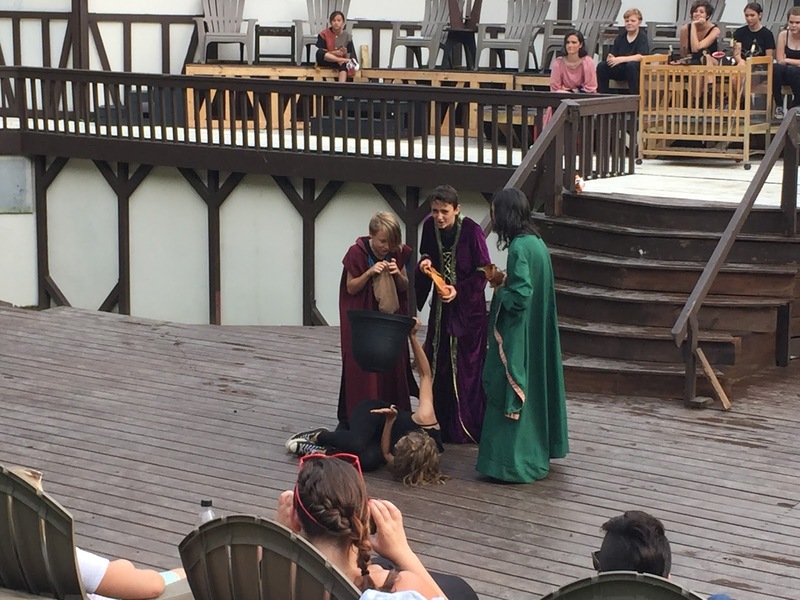 Last year The Moppets performed some of Shakespeare’s most-beloved scenes, with modern translations by the tweens and teens themselves. This year they’ll perform a shortened version of The Bard’s foreboding tales Macbeth. The final presentation of the show will go up before Montford’s premiere of the classic Peter Pan on August 11th, 12th and 13th. Registration for The Montford Moppets can be done online by going to www.montfordparkplayers.org/montford-moppets, and is open to any kids aged from 9 to 17. The number of students who can participate is limited, so Montford Park Players urges parents to take advantage of the “Early Bird Special” rate before June 1st. If there are other questions, parents can reach out to Montford Park Players’ Education Director Cary Nichols at cary.nichols@montfordparkplayers.org, or call (828) 254-5146. Deadline for registration is July 24th, 2017.